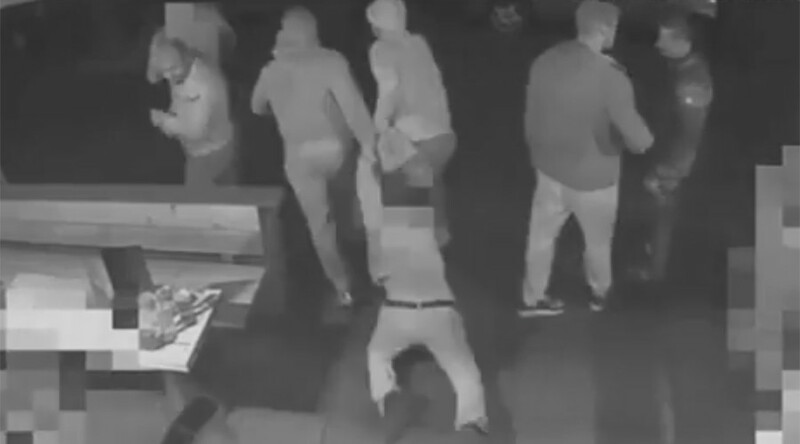 CCTV footage showing a man being kidnapped by a gang of thugs from a busy bar in Bristol, southwest England, and then dragged along the ground has been released by police in an appeal for information. The 22-year-old victim, who was out drinking with friends, was then assaulted outside the bar and put into a car before being driven across the city, police say. The man later managed to escape the gang but required hospital treatment for injuries to his face. The video shows the victim sitting at a table with three other men. More people come in and the victim gets up to leave. As he walks away he is grabbed by one member of the group and begins to wrestle his way free after being put in a choke hold. Three or four more members of the gang then wade in to restrain the man, who is pulled to the floor and dragged to the door by his arms. The kidnapping happens in full view of other drinkers at the Blue Lagoon in Bristol, but no one intervenes. Two men have been arrested in connection with the incident. 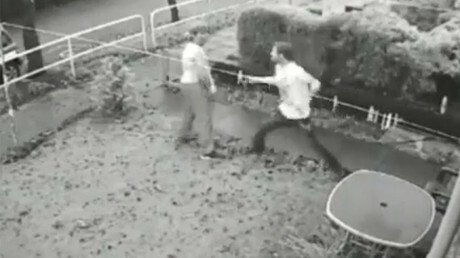 Police have released the video in an appeal for more information.